Garages can be used for so much more than simply storing vehicles. We love watching homeowners get creative with their garages and using their space effectively. We have seen some amazing home gyms, additional living spaces, and workshops all built in converted garages. It is amazing what a little creativity can do to an otherwise neglected garage. Another option homeowners have is converting their garage into a showroom to display their prized collections. Many Illinois residents have built up large collections of prized items, from classic cars to license plates and more, but finding a safe place to store and display those collections can be difficult. If you are looking to convert your garage into a beautiful showroom to display your prized collection, follow our handy guide below. Many people keep their garages full of clutter and hidden from the world. 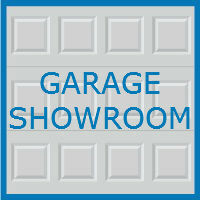 The first step in turning your garage into a beautiful showroom is to tackle the clutter. Depending on the size of your collection, you may need to move everything else out of the garage and into another location. Consider moving your lawn tools and furniture to an additional shed or storage space inside your home. Throw out any items you no longer have a use for. Donate any still usable goods like outgrown bikes and leftover sports equipment. Now that your garage is decluttered, it is time to focus on the walls. Most people never think to paint the walls of their garage, but if you are converting your garage into a showroom, a fresh coat of paint can help brighten the space and give your garage a finished look. Look for reoccurring colors in your collection. Do you have a significant number of cars painted a certain way? Consider aligning the paint color of your garage with the theme of your collection to pull everything together. Once you have cleaned, removed any clutter, and painted, turn your attention to your garage floors. Start by sweeping and/or mopping the floors, removing any excess dirt, grease, and anything else that may have spilled onto the floor. Once cleaned, coating your floor or installing floor tiles can give your garage that showroom-quality look you are likely going for. Floor tiles come in a variety of sizes and colors, and it is a relatively easy process to install them. Coating your floor is another option. Many people choose epoxy coating, a solution that adds a shine to your floor and keeps it safe from spills and damage. Additionally, both tile and coated floors are easy to clean if necessary. Other options include simply painting your floor or using a latex coating versus an epoxy. Now comes the fun part. Once you have cleaned and modified your space, it is time to bring in your collection into the space. How do you want to store the items? If it is a car collection, where are you going to position the vehicles? It is your showroom, so you make the calls. Also note that if any items in your collection are heat or cold sensitive, you may need to install a heating or cooling unit in the space to ensure your possessions are not damaged. Once the showroom is all set up, consider hosting a “garage warming” party. People will love seeing your beautiful collection of goods and the amazing storage space you have built for them. You will likely become the envy of the neighborhood. 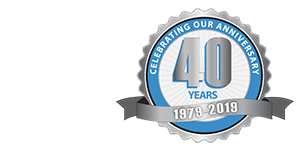 Whether you are looking to build a brand new garage or make improvements to an existing structure, the team of garage specialists at Blue Sky Builders is here to help. Visit Blue Sky Builders online or call 630-852-8485 to learn more about the wide range of services we offer.